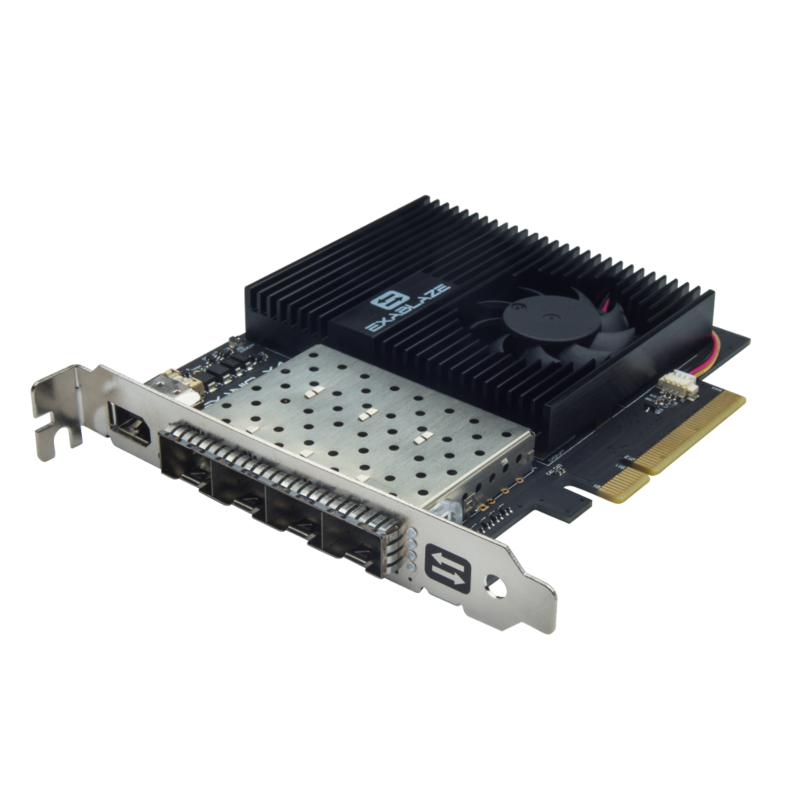 Exablaze's ExaNIC is an ultra low latency network interface card. Typical latency is under a microsecond application to application for small Ethernet frames (using the native API) and approximately 1.1 microseconds for small TCP and UDP payloads (using the transparent socket acceleration library). The ExaNIC X4 also has built in port mirroring and bridging functionality, both useful features that are not available in other NICs. Additionally, with hardware–based time stamping of every packet to 6 nanoseconds resolution, users can rethink their approach to measurement and latency management. *Sub microsecond for small raw frames via the API - see performance section. Test methodology available on request.